You may remember the inspiring story of Jadav “Molai” Payeng, the man who spent 30 years single-handedly planting a 1,360-acre forest in India. Just when you think it doesn’t get more ambitious than that, Payeng has said he plans on planting yet another forest over the next 30 years. As Stephen Messenger over at Treehugger has explained, when Payeng was just 16 years old, the dying wildlife along the sandbar in the Assam region of northern India saddened him to the point where he knew he had to do something. 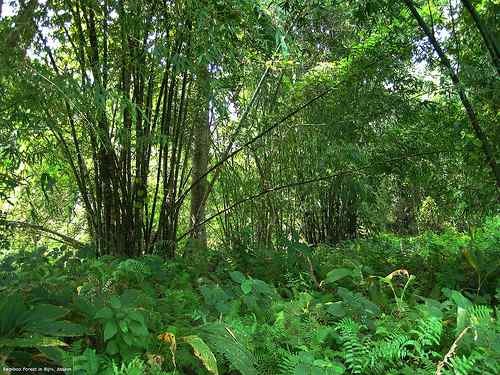 He began planting vegetation to provide shade to the animals, and more than 30 years later it has sprawled into a thriving ecosystem for birds, rhinos, elephants, and tigers. He also lives in the forest with his wife and kids, selling milk in nearby towns to get by. Still, he is determined to build another 1,300-acre sandbar near Brahmaputra. While his first mission may have been completed alone, he has still made many people think twice about what they are capable of accomplishing to better the world. I love when a single person’s story can give you an entirely new perspective on your abilities. Not that he needs it, but I hope more people pitch in to help this time. It will be interesting to see what comes of it. Image CC licensed by PhBasumata: Forest in the Assam region of India (not the one planted by Jadav Payeng). Sorry we don’t know the answer to that as yet. I assume as it was a big sandbar it’s public land that was in need of some care, but it is of course possible it’s private land.